Warm enough without the bulk of full winter gloves. I'm normally a medium in gloves but reviews say they're small fitting so ordered large. Perfect fit and comfortable. 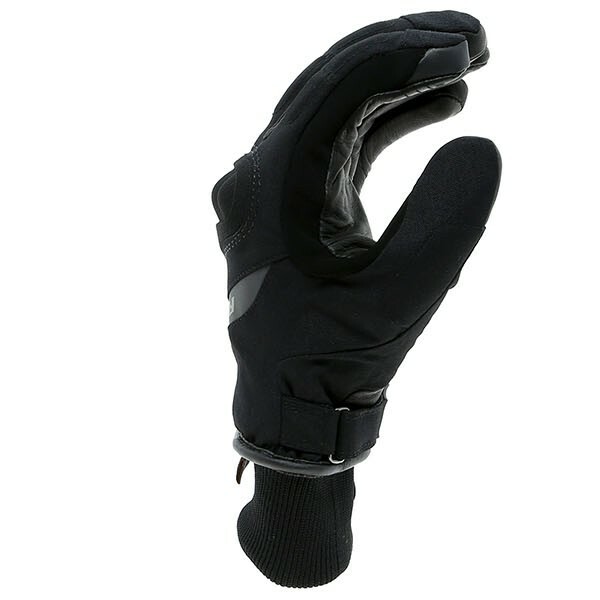 Warm glove but NOT bulky ! Wanted a pair of gloves for cooler weather (and touring) but not bulky and "all glove!" 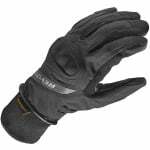 These are a good warm glove but neat and comfy. Went one size larger - but very good purchase. Every glove within my budget (£50-80) had mixed reviews, so I was a little nervous buying these. I was nicely surprised though. The quality is top notch, and the materials feel very premium. I had cheap amazon 'winter' gloves before which left my fingertips numb&stinging at 5c. The H2Os were nice and toasty. A little bit clammy actually but not uncomfortable. I wouldn't wear them when it's more than 15c out - but I dont think you can have the best of both worlds at £70. Tested them in the wet and with road spray there was no evidence of dampness. Not tested them in proper rain (because I'm a wimp and try not to ride in the rain), but I imagine the fabric will wick the moisture like other reviews suggest. My palm size was right in the middle between L and XL, after ordering both I found the smaller glove fitted perfectly. I'm pretty skinny, so it fits bang on. A little snug getting into the glove to start with, but then the finger length and grip is perfect. So if you're a skinny runt like me and in between sizes, go for the smaller one. If your hands are 'bulkier', you might find sliding into the glove tight, so go for the half bigger size but beware the fingers may be a touch too long. Personally, I can't deal with having a gap at the end of my finger it just does my head in. No problem with these, they're like made to measure :). Dexterity is always compromised with winter gloves, but the H2O is way better than the soft mushy inflated type. For what it is, I can still use zips on my jacket, get my phone out of the pocket and write a message without too much bother which is amazing. Overall, great glove. Cheers Sportsbikeshop! My commute is 20-30 mins max and so far on the 2-5*c my hands are warm so good enough for short commutes. Only bad point for me would be the thickness of the glove makes its slight hard to use controls and have less feel through handlebars. 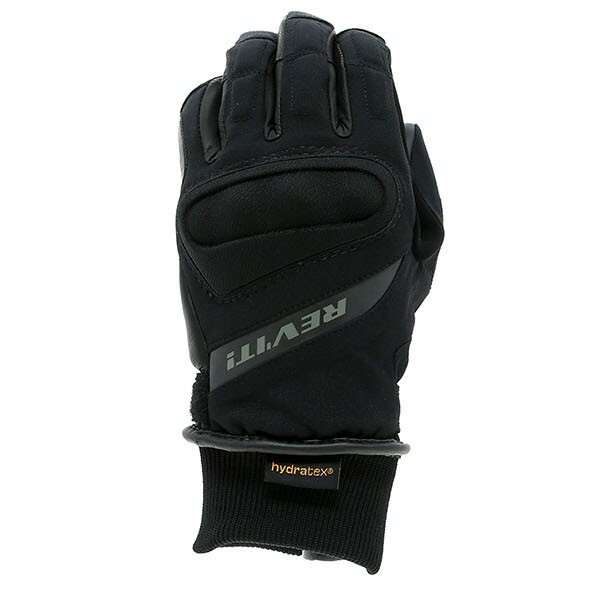 Very nice glove, sizing is fairly good although I would say that they are fairly small. Good quality. Not sure how warm they will be on the colder days. Worth the money. This product bought to replace some years old leather gloves and I'm pleasantly surprised. Ordered in a batch with three others, these were the only ones that passed muster. They're nice and warm and the feeling is good on my Street Triple - to control the digital screen etc they work just fine on the small(ish) buttons. Very good quality and value although size chart needs to be reviewed. Ordered XL but still too small. Returned item after emailing, very quick response to email. 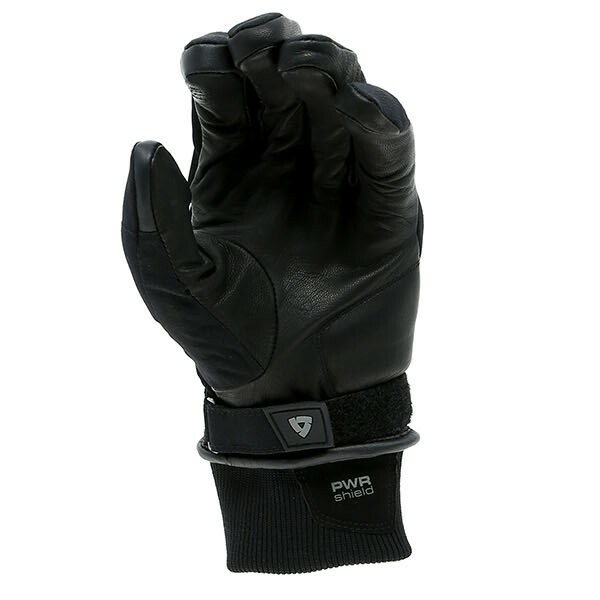 I'm quite new to riding and only had a summer pair of RST gloves which in recently weather were far from warm enough. So I needed a thicker warmer pair for colder weather riding. 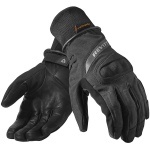 My commute to work is about 25 minutes and it was around 0 degrees when I tested these rev it gloves. 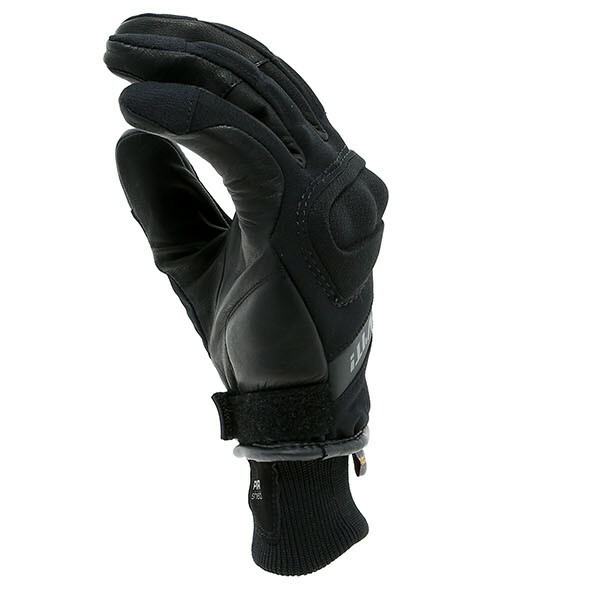 I have to say that they look good, feel secure and armoured, they are a little tight on the width of the hand but long in the fingers. I opted for a Large and have fairly small hands for a bloke. As for warmth they've done the trick for a short commute but anything over 30/40 minutes in cold weather you would start to feel it but overall I'd say for everyday commute use, a good buy. The gloves are a tight fit around the cuff but once you have them on, they fit quite well. I ordered a M and my previous gloves were a L. My only concern with the gloves is durability. I ride in the UK where it can certainly get quite chilly, and my hands become quite clammy with my body trying to heat my hands up naturally, and the cold temperature of the outside mixing together - This leaves my hands slightly clammy after a 1-2 hour ride. In the long run I can see the material inside falling apart, but probably not before they start to smell bad. Not sure if this is a normal thing with winter gloves with no ventilation. I've never had this issue with Summer gloves for obvious reasons. First time out trying these gloves today in storm Brian! Firstly ordered a size Medium which is my normal size, getting glove on is quite tight but once on fit is nice and snug with room for movement and good feel of controls. They look and feel like good quality. So went out for about 1h 30 with light rain and temperatures 0f about 9 degrees with strong winds throughout. Hands are dry so waterproof does the job, at this temperature my hands were starting to get slightly cold at fingertips so any colder would of needed an extra thin glove on with it and this was city riding up to 40mph. First impressions are good hope this helps! Cold and wet winter conditions can be a deterrent for heading downtown on two wheels. The Hydra H2O gloves are your perfect companion in these conditions, keeping hands dry and warm thanks to the waterproof hydratex membrane and insulating Thinsulate G liner. Wipe the rain from your visor and the smile back on your face with the visor wiper, while knowing you are guarded by the hard-shell knuckle protector and the Temperfoam at your fingers, thumbs and palms. Make it fit as close as you like by adjusting the wrist strap that sits above the short knitted cuff. Whilst the brand is a relative newcomer to the world of biking fashion, Rev'it motorcycle clothing is certainly up there with the biggest brands, having earned a first class reputation for both design and quality of product. Since their introduction to the motorcycle market in 1995, Rev'it have sought to redefine industry standards by following their own line in terms of both style and the inclusion of technical features. In 2001 they began developing their Engineered Skin method of production across the entire Rev'it motorbike clothing range, focusing on the relocation of vulnerable seams to areas of lower risk. By strategically placing task-specific materials, Rev'it clothing is always designed and manufactured to mitigate failure points whilst boosting overall performance. Technically advanced, uniquely styled, and built without compromise; Rev'it is a brand that continues to grow here in the UK which is why you'll always find us featuring the entire bike range.